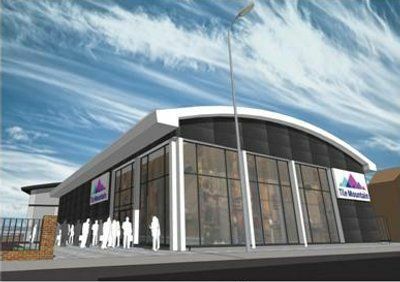 Expansion at fresh-faced online tile retailer Tile Mountain is to see the company invest £10m in purpose-built new premises. The company was set up three years ago by former owner of Tile Giant Mo Iqbal and ex Topps Tiles commercial director Jeremy Harris. Since then it has experienced substantial growth, and with a 60% increase in turnover last year alone the company has now outgrown its current premises. The new specially-built facility will comprise a warehouse and office block of 109,000sq ft, plus a 7,500sq ft showroom with 2,000sq ft mezzanine. The new five-acre site will not only provide new facilities but also a further 70-plus jobs over the next three years. The new job opportunities will cover many skill sets, from warehousing to graphic design. Chairman Mr Iqbal commented: "Since its inception three years ago Tile Mountain has become the fastest-growing online tile company in the UK... we are pleased to be part of Stoke on Trent's business community and to be contributing to the local economy. The company currently employs 27 people and we're thrilled that our rate of growth will continue to provide further jobs for local people.